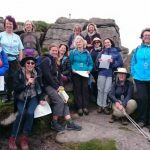 Two women hiking across Dartmoor to Women walking and wild camping | Hiking boots, outdoor trousers and Dartmoor walking make up this outdoor blog. 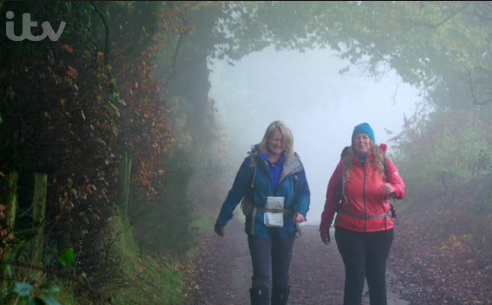 Lucy and Fi, Blondes One and Two, love all hill walking but their favourite walks are Dartmoor walks. They like nothing better than throwing their rucksacks on, getting their map and compass out and setting out across the moor. Lucy and Fi are both Mountain Training England qualified, and experienced Walking Group Leaders. 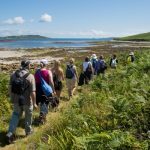 As well as offering bespoke navigation training courses tailored to fit individuals or groups, they run a series of beginner navigation courses, improver navigation courses and night navigation courses throughout the year. Check here for navigation workshop dates. Email us for more information. Lucy is in charge of outdoor education at Trinity School in Teignmouth. 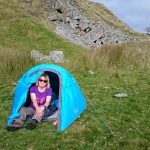 She is their DofE Manager, does overseas expedition work via World Challenge and helps out with Ten Tors Challenge training. 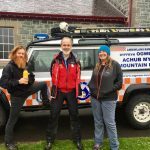 Both Blondes are committed to expedition work with young people. Fi is a keen outdoor swimmer and swims in some of Devon’s most beautiful places including its stunning coast and Dartmoor. When the rivers are in chilly winter hibernation, Fi swims in the sea and on most weekdays can be found admiring the sunrise from the water. Dartmoor is England’s only legal wild camping area and both Lucy and Fi are advocates of wild camping within the Dartmoor National Park regulations and according to the Dartmoor wild camping map. 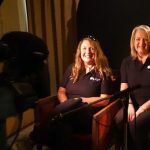 Lucy and Fi run Dartmoor wild camping weekends to encourage the proper and safe use of this fantastic natural resource. We Blondes love Dartmoor so much that we have written three children’s books about it. Shop here for your copies of The Dartmoor Christmas Tree, Dart the River and The Non-Story of Ignatius Bowerman. Find and Explore books to get the young ones out exploring Dartmoor and you out walking with them. Abbie’ s spiced bread pudding at the Fox Tor Cafe is a favourite….with custard, never cream. Glad you enjoy the tweets. I would have to agree about the bread and butter pudding but am a cream kind of girl myself. Blondes, I’ve been enjoying your blogs and hope you can make it easier for me to follow. I use an RSS reader for all my blog reading, but your RSS setting is set to deliver only an extract (first few words only) to the RSS reader. Could I ask a huge favour and request you set your RSS feed to full article instead? Obviously if there is a reason you don’t want to do this, I’ll understand, but was thinking it may just be the way the blog defaults? If you go into the WordPress dashboard, Settings, Reading options you should find an option that says “For each article in a feed, show” and the option to set it to “Full Text”. Your wish is our command – consider it done and hope you continue to enjoy! I love reading about your various excursions!! 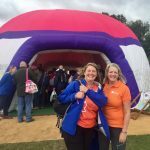 I always find it great to hear of other women going out and getting truly stuck into the outdoor world – mud, rain, wind, it’s all good stuff. I hiked/attempted to climb in Dartmoor for the first time in January and whilst the weather wasn’t that amazing, it was a great weekend and I look forward to returning. I look forward to my weekly installments of your blog – it keeps me motivated! Just passing through and really liked your site. I was wandering if you ever feature guest posts as I’ve looking for opportunities to try and get some of my own stuff out there. Hi – my blog – dartwalkers Blog – was nominated for a blogging award recently – not a posh one, but a bit of fun. I had to nominate a few other blogs in turn and yours is one of the ones I’ve chosen. Hope you don’t mind but if you go to About on my blog and look at the comment from Jade you can go to her post and select from a number of cute logos you can now add to your blog, if you would like to. Happy walking. That sounds very exciting – our first award! Thank you very much indeed. I will get together with Blonde One and make a decision. Some good news in a rather tiring week! just come across you on twitter what a suprise! WILL follow your adventures as fellow walkers. from a blonde blogger!! 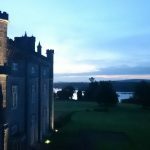 My name is Serena, and I work on communications projects for the National Trust. We’re about to launch a new appeal, all about protecting our spectacular Lakeland fells from erosion by maintaining and repairing the paths. I thought it might be of interest to you? Is there an email address I can contact you on, to tell you a bit more about the project? Mine is serena.cowdy@nationaltrust.org.uk. A lovely tribute to our beautiful moors. They are indeed pretty special and we feel very lucky to be a tiny part of their history. I hope you found some stone rows on your ramblings. Sorry Mr Steemson. Neither of the Two Blondes is called Julia but it is lovely to hear from you and we would love to seek out moor information from you. I don’t believe we have ever met but we have gazed on you from afar at the Ten Tors managers’ meeting. You surely noticed us!?! Saw you on Britains 100 best walks, and thought I would look you up. Love the fact you have a photo of “Bubbles” (the yellow jelly baby) at the top of this page. Hi Carl, good to hear from you. 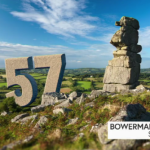 We loved showing Dartmoor off on ITV’s 100 Walks. Jelly babies are very important to us, in fact they were also filmed by ITV but got cut due to a disagreement with their agent. Yellow jelly babies are, of course, Blonde but are also very naughty! Do feel free to subscribe and receive an entertaining Blonde blog every morning! Hiya, thank you for a fantastic weekend. I have the green light for my next wild camp from my other half. Thanks again. Hi Peter. A pleasure and good to meet you. Happy camping!